Dear Clients and Resellers, Clusters are mainly used to overcome capacity shortages so your IT services stay in line with your service level agreements. If a cluster goes down, that could really hurt. 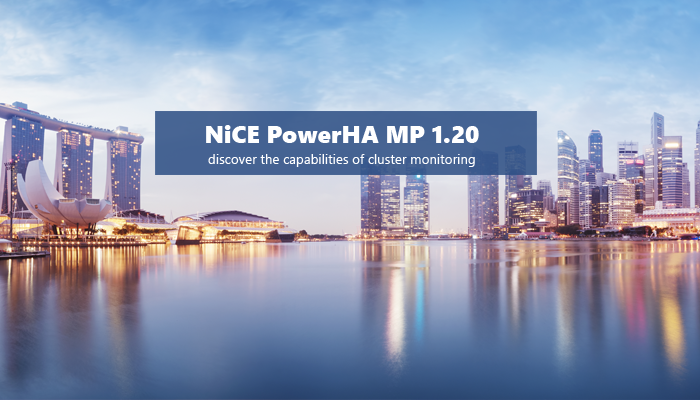 The new NiCE PowerHA MP 1.20 for monitoring PowerHA clusters using Microsoft SCOM has just been released. Prevent business losses by upfront alerts on impacted systems. In time and in detail. Experience cutting edge cluster monitoring by using the NiCE PowerHA MP for SCOM. No False Files Systems Alarms from Microsoft® AIX Management Pack anymore!